In 1989, Occult Authority Carl Nagel released what is almost certainly the definitive Occult Workbook for calling, and working with the Seventy-Two Spirits, which were bound by the Great Magician, King Solomon the Wise. 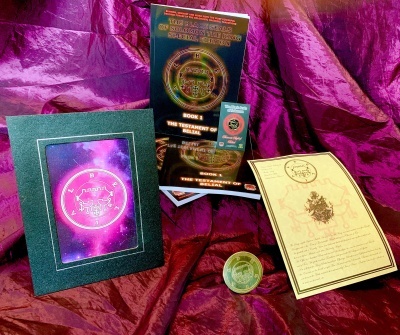 For an entire generation, this astounding Spell Book, with its simple instructions and ease of use, has produced tangible results for hundreds upon hundreds of ordinary people around the world. Those seeking Love, Wealth, Power and Good Fortune have all been rewarded handsomely, through the use of the powers contained within these notorious Black Seals. Although The Black Seals of Solomon the King eventually went out of print, people everywhere still enquired daily as to when - if ever - it would again see the light of day, in a re-printing. Finally, that time has arrived, and we are immensely proud to offer this essential title to the General Public once again. Within these pages, you will find a complete system of real, workable Magick; used since the Middle-Ages, the remarkable powers of the Seventy-Two Spirits are as potent today as they have always been - just far more accessible, thanks to this easy-to-use Workbook. 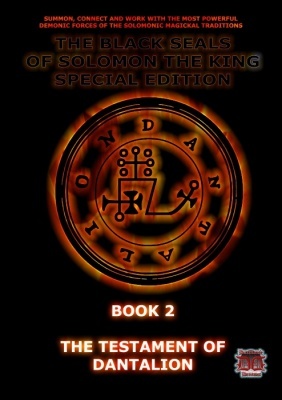 the King remains - as ever - the definitive and most accessible book of True Black Magick ever published. BUT A WORD OF CAUTION TO THOSE UNFAMILIAR WITH THIS WORK: IT DEALS IN BLACK MAGICK - THE INVOCATION OF DARK FORCES! But as previous purchasers know these forces can be invoked safely, thanks to wizard Carl Nagel's instructions! HERE IS REAL BLACK MAGICK WHICH CAN BE PERFORMED WITHOUT THE USE OF CANDLES, OILS, HERBS, OR ANY OTHER PARAPHANALIA, WITHIN THE COMPLETE PRIVACY OF YOUR OWN HOME. Each black magick ritual or ceremony takes only 15 minutes to perform. The gist of the ritual is the 'charging' of the Seal you choose for your purpose, and the calling of the infernal spirit which operates through it. 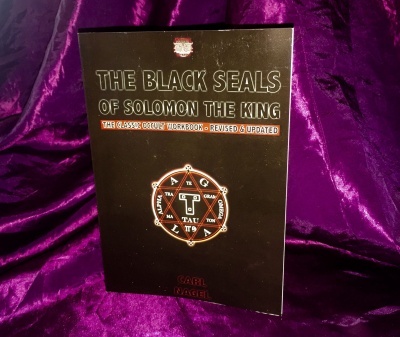 How the Black Seals came to be associated with Solomon the King is unclear, and if the connection is correct, that would date their age to at least 3000 years! The number of Seals - 72 - identifies them immediately with Seth, one of the most revered Egyptian gods, worshipped by Solomon. SOLOMON'S WEALTH AND WISDON WAS LEGENDARY! Whatever their ancient connection the fact is this is what the magicians and wizards of the Middle Ages believed. AUTHOR CARL NAGEL 'CHARGED' HIS BLACK SEAL AND WENT TO THE RACES. HE PICKED 4 WINNING HORSES THAT DAY. You no longer need to pay the unscrupulous book dealers hundreds of pounds for a copy of this book - we've now made it available again to all at an affordable price.